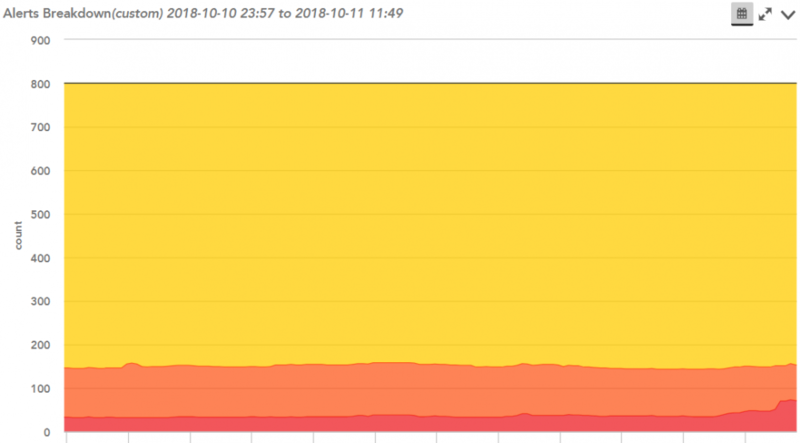 LogicMonitor Portal Metrics is a DataSource that queries the API of a specified LogicMonitor portal for overall statistics such as device, collector, and alert counts. It was originally written by fellow Sales Engineer @Jake Cohen, and updated by Monitoring Engineer @Julio Martinez (credit where credit is due!) It can be useful for tracking the activity within an account over time. Download the LogicMonitor Portal Metrics DataSource from the LogicMonitor Repository using locator code J7RGZY. - This device won't respond to standard DataSources, so you'll probably want to do some alert tuning once it's been added. Once those properties are in place, the DataSource should automatically apply to the new device. 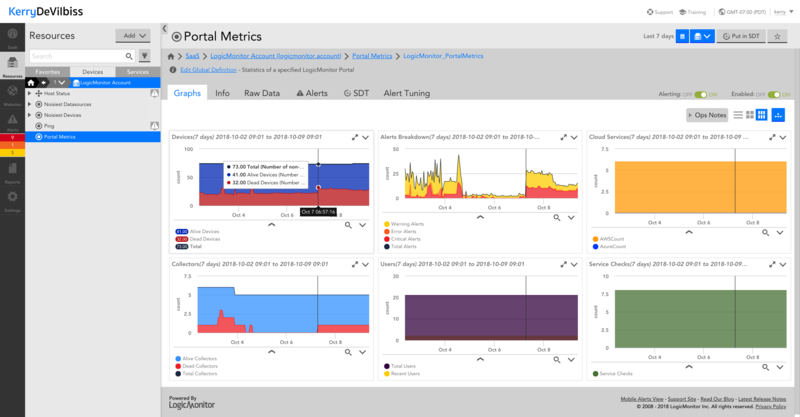 Download the LogicMonitor Portal Metrics dashboard from Github. @Kerry DeVilbiss this is awesome. Question for y'all on this, the total alert count looks to be maxing at 800. I haven't done any troubleshooting yet to see if that's just what it's reporting, but curious if that's a limitation somewhere in the script. Cool. We do a similar thing for alert volumes in each of our regions, the types of alerts (based on data points) and the alert acknowledgements by operator. We recently received and deployed a datasource we got from @Jake Cohen that also displays the number of Cloud devices monitored by a Collector, which is important for my leadership to understand our account utilization/commit metrics. I would highly encourage "LogicMonitor Portal Metrics DataSource from the LogicMonitor Repository using locator code J7RGZY" also incorporate this datapoint. This datasource is exactly what we are looking for, but there is one problem. It isn't returning the proper counts for alerts. But the most I could get is 1000. Our current count is 9079 Warnings, 415 Errors and 284 Criticals, but everything gets moved to all equal 1000. Even when I adjust the two variables to a much higher rate. I can't seem to edit my post. It appears the paging parameters aren't working, most likely the offset. Note: The response 'total' will be a negative number if there are additional alerts that satisfy the request criteria that weren't included in the request, and that "at least" that number of alerts exist. For example, if you request the first 500 alerts and you have 3000 alerts in your account, the response may include total=-1000 (i.e. you have at least 1000 alerts, but you didn't ask for them all). Therefore, your recursion to fetch additional alerts should run if the 'total' is a negative number. ... define url including size, fields, filters etc and make API call for alerts. Initial offset will be zero as per default passed parameter. Hardcode size to be 1000 as this is the maximum number of results the API will return from one call. Whenever you finally get a response with a positive 'total' number, you're at the end of the alerts list, the recursion will stop, and you'll have one alertsMap object with all the alerts in it, which you can then do whatever you like with. Note the above bits of code are from a script that uses the API v2 data structure. Note also, the hacked out chunks above are nothing like a complete script. With that at the bottom instead of the original and I took out another portion it now works flawlessly. Thank you, Kerry, for making this available! I made a minor change to fix pulling of alert metrics, available at GJNN46.